We're America's largest broadline manufacturer of commercial foodservice equipment, serving this market since 1947. 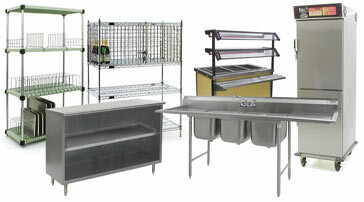 Beginning with stainless steel worktables and sinks, our product line has continually evolved to encompass a full range of shelving, storage and transport equipment, countertop cooking and warming equipment, and much more. In addition to offering a full range of standard products, we also offer custom design and fabrication services through our SpecFAB® Division. Whether your need is for a single unit or a complete kitchen, our designers and fabricators provide fast, affordable products and service to meet your precise needs.